Women earn more in certain occupations than in others. 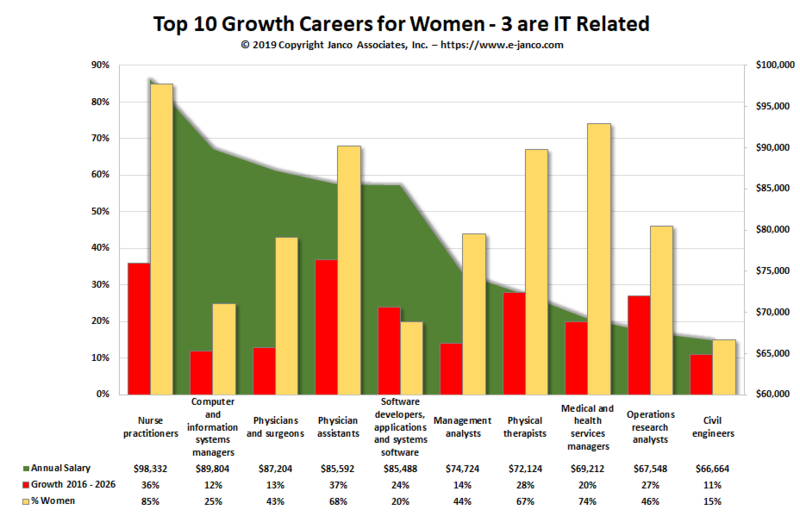 And some of the top-paying occupations for women are expected to have fast employment growth for workers of both sexes. Workers typically need at least a bachelor’s degree to enter any of the occupations listed. Software developers, application, and software systems is projected to grow by 12% by 2026 and currently has a median salary of $89,804. Women currently make up 25% of that group. By 2026 there will be 255,400 more jobs than 2016 for this category. 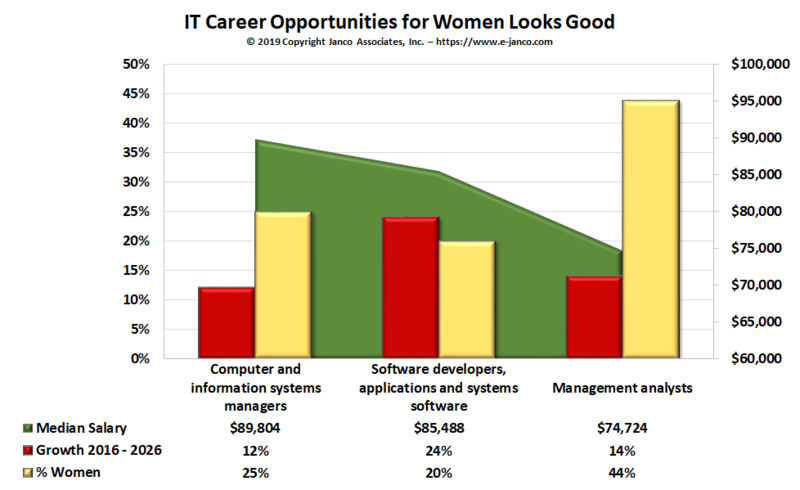 Computer and Information Systems Managers is forecasted to grow by 24% and currently has a median salary of $85,593. Currently, women make up 20% of that group according to the Bureau of Labor Statistics. There should be 44,200 more positions in 2026 than 2016. Management Analysts should grow by 14% and current occupants of that position are paid a media salary of $74.734. Women have 44% of those positions today. IT is estimated that there will be 115,200 more of these positions in 2026 than 2016.